This movie is on the list of favorites for me even though it's a low budget film and not a lot of special effects it still grabbed my attention the first time I watched it. 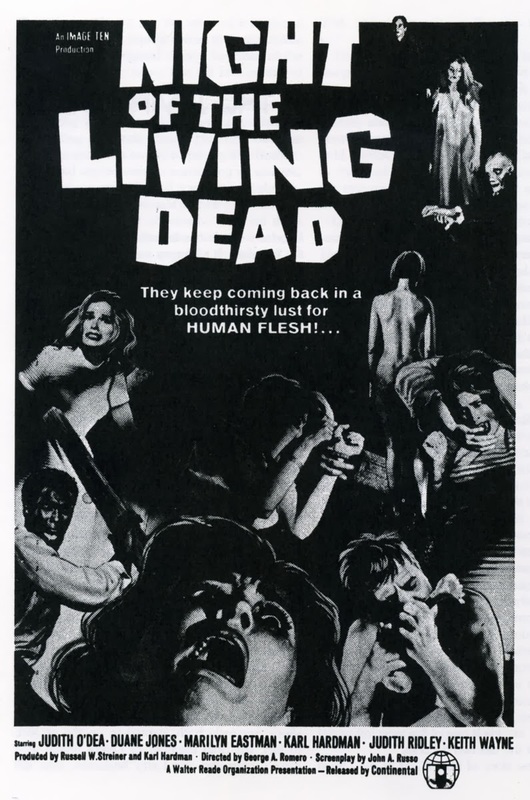 This is the very first movie by Gorge A. Romero and it started the whole plague of zombie movies. This movie takes place in a farmhouse where you have a man (Ben) and a young lady (Barbra) trying to figure out what's going on outside with strangers attacking others. Later they find out that there are other people in the house. "This is pretty much what she does the whole movie." Even though the movie lacked special effects, it still shows the distinctive difference between humans and zombies. 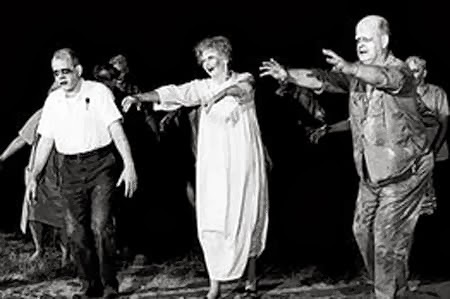 I am amazed that the style the zombies had in the movie is still kept in all zombie movies to date, and is what formed them and brought them to life......um....well you know. A classic and my favorite zombie movie. My sister-in-law is always freaked out just to hear the line "They're coming to get you, Barbara..."